Increasing life expectancy makes for a great economic metric, but can throw up a major challenge for the individual or household. Let's face it, your employability tapers off as you age, and there will likely come a time when no company will engage you, no matter how willing or able-bodied you are. At the same time, you're going to have to start dealing with mounting medical bills and a higher cost of living, driven by inflation. Alright, so you know all that and have already invested in stocks and mutual funds, made contributions to your provident fund, made some fixed deposits, bought yourself a health policy. What other options do you have take care of your post-60 years? One such is the National Pension System (NPS), a long-term investment scheme for retirement planning. Regulated by Pension Fund Regulatory and Development Authority (PFRDA), it was rolled out by the government in 2004 to offer citizens an affordable social security plan. Under NPS, both employees and employers contribute to the scheme, and the greater the contribution, the greater the corpus. NPS withdrawal is allowed only after three years of subscription. On opening an NPS account, a unique 12-digit unique Permanent Retirement Account Number (PRAN) is allotted to you. Two types of account can be accessed through PRAN -- Tier-I and Tier-II. The first is a non-withdrawable account and the second is a voluntary savings plan from which you can withdraw money whenever you want. A sum of Rs 125 for subscriber registration and a transaction charge of 0.25 per cent of the initial contribution, subject to a minimum of Rs 20 and capped at Rs 25,000, are charged to the subscriber. All citizens, including NRIs, between 18-65 years of age can open an NPS account, which is independent of subscriptions made to any other pension plan. You can join NPS either as an individual or as part of an employee-employer group, but remember, after age 60, you will not be allowed to make further investments into your accounts. Subscriptions are made with authorised entities such as banks and other financial institutions called Points of Presence (POPs). If the subscriber dies, the entire pension wealth is paid to the nominee/legal heir of the deceased. For NPS benefits, you need to submit a withdrawal application form along with the necessary documents to the POP, who would then authenticate your submission and forward them to National Securities Depository Limited (NSDL). Once the application is processed, your account will be created and you can withdraw money. The PFRDA has increased the maximum age limit for joining NPS from 60 to 65 years. For partial withdrawals, the authority has reduced the requirement of minimum years of enrolment from 10 years to three years. Those with disabilities or incapacitation can make hassle-free withdrawals and exit from the NPS. NPS offers transparency to its subscribers through online access of the pension account. You must deposit at least Rs 500 monthly in a Tier-I account or Rs 250 a month in a Tier II account, or Rs 6,000 annually (Tier I account). On not retaining the minimum amount, your account will be frozen, but you can recover it by paying a penalty at the nearest Point of Presence (PoP). An NPS subscriber can claim a tax deduction of up to 10 per cent of gross income under Sec 80CCD(1), subject to an overall ceiling of Rs 150,000 under Section 80CCE. So, if you contribute more than Rs 150,000 to the NPS in a year, the amount in excess of Rs 150,000 can be claimed as a deduction under the Section 80CCD(1B) up to a limit of Rs 50,000. For investment up to Rs 50,000 in NPS tier-I account, an additional deduction is exclusively available to NPS subscribers under subsection 80CCD(1B). This is over and above the deduction of Rs 150,000 available under section 80C of Income Tax Act 1961. Before retiring or turning 60-65, a subscriber can partially withdraw from NPS tier-I account for specified purposes. Amount withdrawn up to 25 per cent of contribution is exempted from tax. The amount invested for buying annuity or pension is fully exempted from tax. However, the annuity income that you receive later will be taxed. After attaining the age of 60, up to 40 per cent of the total corpus withdrawn in lumpsum is also exempted from tax. 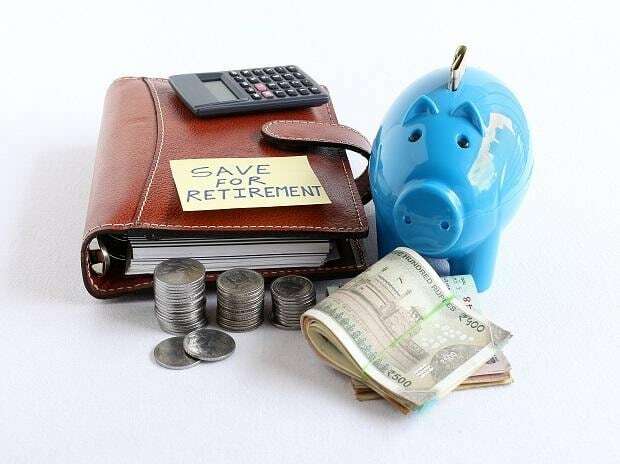 If you retire and don’t want to continue with NPS before attaining 60, then you can use 80 per cent of accumulated wealth for buying an annuity and remaining 20 per cent balance is paid lumpsum. For instance, if the corpus at the age of 60 is Rs 1 million (Rs 10 lakh), then you can withdraw 40 per cent of this, which is Rs 400,000, without paying any tax. So, if you use 40 per cent of NPS corpus for lumpsum withdrawal and the remaining 60 per cent for annuity purchase at the time of retirement, you do not pay any tax at that time. Only the annuity income that you receive in the subsequent years will be subject to income tax.